Horizon House provides a welcoming environment where all can flourish. What an incredible evening for “Celebrating You,” an event to thank 4 exceptional community leaders and the organizations they lead, for their dedication to the Horizon House community and for giving joy to those we serve. This year’s Horizon House Community Leaders Awards were presented to David Kauffman, BNI Main Line I, Karen Ebbert, Networking Women PA, Patricia Nogar, The Sophia Group, and Pamela Follo Badolato, The Plaid Pajama Project. The awards are our way of thanking our community partners and highlighting the exemplary partnerships which collaboratively have transformed the lives of the men and women we serve. 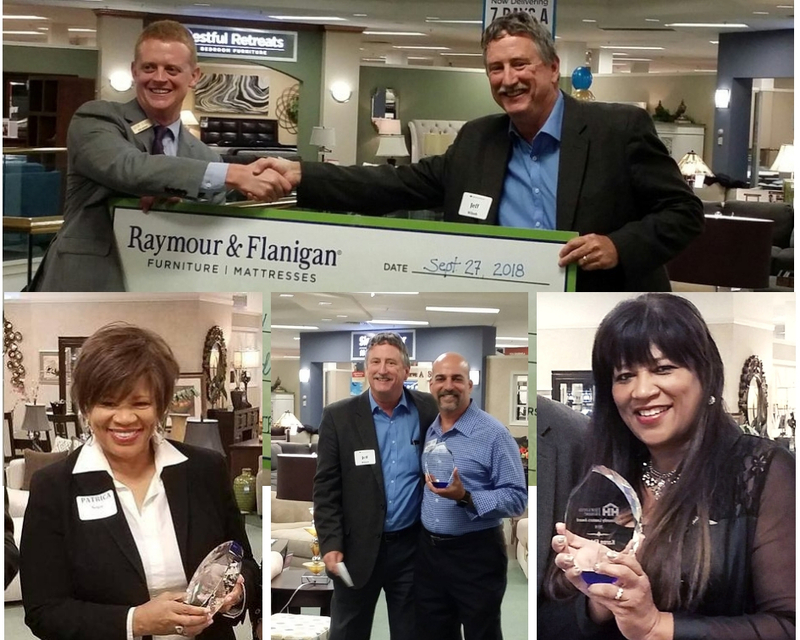 We also extend a big thank you to Geoff Dodd, Store Manager, and staff of Raymour and Flanagan, KoP for graciously opening their doors to host the event and for presenting Horizon House with a special gift as part of their community outreach. Sign up to receive the latest news updates and information about special events. Horizon House is accredited for Residential Treatment Services in PA. In Delaware, we are accredited for Assertive Community Treatment, Case Management/Service Coordination, and Group Homes. © 2019 · Horizon House, Inc.